School was very confusing for me. I was not allowed to develop friendships with my classmates outside of school-time and going on to further education was discouraged. For these reasons, I was glad to be removed from school at age 14 in order to receive elective home education. 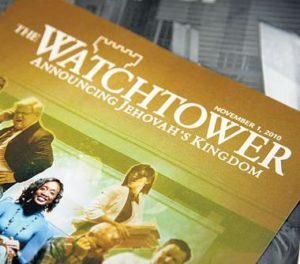 It meant that I could avoid the confusing situation that was “school” and concentrate on matters of greater importance, which, at that time, meant preaching the good news, house-to-house, with fellow Jehovah’s Witnesses (JWs). My education stopped there, pretty much. I remember receiving one solitary visit from the Local Education Authority Officer and took only 1 GCSE (Maths), which I paid for myself. Not all children of JWs have the same experience when it comes to schooling. Some parents are stricter than others. However, in the area where I grew up, there were several other children in the same situation as me: home-schooled, with no qualifications. It was not uncommon, in fact, for us to be out knocking on people’s doors on a weekday, when most people our age were in school. That such a situation could occur is an indictment, not only against the views of JWs but also against society. And yet, it’s also hard to know how to feel, or what to do, about it. I think back to my school-days and still feel confused. I remember once, aged around 7 years old, going home with a school-friend to play (this school-friend was not a JW). After being there for 20 minutes or so, there was a knock at the door… my mother had come to take me away. Immediately after leaving the school-friend’s house, I got a telling off – a telling off which I didn’t understand then and which I still don’t now. However nice this boy may seem, I was told, he was not a JW and therefore not a good influence. As time went on, I learned to conform to expectations, taking JW literature into school and sharing it with my classmates, hoping that they would become JWs too. I did not participate in morning assemblies as a prayer was given in those assemblies. Likewise, I did not engage with Christmas or Easter celebrations, or indeed any sort of religious celebration. I did not join in with extra-curricular activities. I think, all in all, it constituted a failure to be socialised in a healthy way. As mentioned earlier, I was glad to be out of the situation when, at aged 14, I was removed from the school system entirely. I don’t doubt that my parents thought they had my best interests at heart throughout all of this but the sad fact is that their whole world was about serving God and was not based in reality. Both of my parents had no experience of further education and this played a role. But, more than this, the disregard for education that is espoused by JW doctrines encourages parents to willingly overlook the importance of teaching and socialising their children according to normative standards. When I did finally decide to cease being a JW (aged 18), I was left totally unprepared for the real world. I was cut off from the JW community and my choices were severely limited due to my having never finished school. To mould a child in such a way robs that child of their full potential. Drifting around in my late-teens and early-20s, I felt like there was no hope for me. My parents, the JW community and, to a lesser extent, society in general allowed what happened to me to happen. As a child—an indoctrinated child, at that—I didn’t have the capacity to take responsibility for myself. JWs, and other faiths too, need to ensure they provide children with the best start possible by ensuring that they have opportunities to work with, regardless of what faith they may choose further down the line.